With a return of a beloved character and two brothers who are rushing toward possibly losing everything, this episode hit just the right note at a crucial time in the season. I loved everything about it, from Dean’s brotherly caring to Sam’s determination to Charlie’s expanded backstory. The boys have gained an awesome adopted sister and we’ve gained a great recurring female character. I hope she visits again soon! First of all, before we get into Charlie’s return, I wanted to mention the shout-out we got to another geeky love of mine — the Saga comic book. Namely, Lying Cat. When Charlie first shows up, she’s wearing a Lying Cat t-shirt. So much love! And if you’re not reading this comic already, go do it. I promise you won’t be disappointed. Kudos to Supernatural for making such a subtle reference to the comic. Always appreciate those nods. Now, on to Charlie. I am always pleased to see Charlie show up, though I was hesitant when I heard she was returning for a second time this season because I feared we’d be over-saturated with her character or she might meet a bad fate. Remember, women do not last long on this show, and if your name’s not Winchester you’ll likely end up dead sooner or later. However, I didn’t need to worry about any of that because Charlie not only survived the episode, but we also got more backstory on her and a richer experience with the way she integrated so easily into the lives of Sam and Dean. She’s the little sister they never had! As Sam mentioned, she has become a true Woman of Letters. 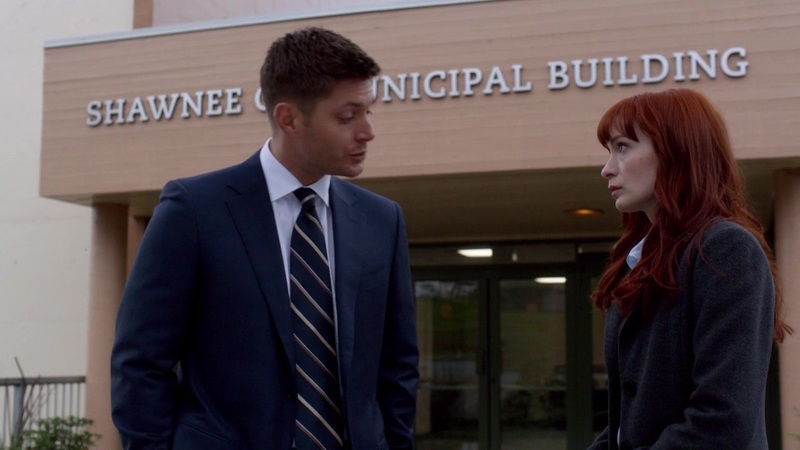 One of the things I like about Charlie is how well she and Dean fit together. They are like the same person, which I think helps Dean open up to her more than anyone else. He can talk to her, explain his fears and where he stands when it comes to Sam, and Charlie isn’t out to judge him or bring along any baggage from the past. She listens and tells it like it is. Their bonding moments are what I look forward to most. And I do like that the show has sustained contact with Charlie, mentioning her as the boys deal with their current cases and the long arc of the tablets. She’s geeky and useful. Plus, she’s become a hunter-in-training, with a little side reading into the Supernatural novels. Glad to see that bit of canon hasn’t been lost to the ages. And now they’ve been put online, so a whole new generation of fans can learn the stories of Sam and Dean Winchester. Loved Charlie’s dig about Sam and his disastrous luck with the women. It’s the long-standing rule: sleep with Sam Winchester and die. I’m surprised Amelia has lasted this long. Before Charlie’s arrival, we got to see some brotherly bantering, with Dean’s constant need to take care of Sammy. It’s been his life-long mission, to keep Sam safe, so of course he’s going to try and cure Sam’s illness with love and attention. Sam’s looking pretty rough with the trials playing havoc on his body, so Dean is doing whatever he can to make it better. If that means he has to feed Sam himself, he’s willing to do it. Sam’s hard-headed, but Dean’s constantly trying to make sure Sam’s up to the challenge. 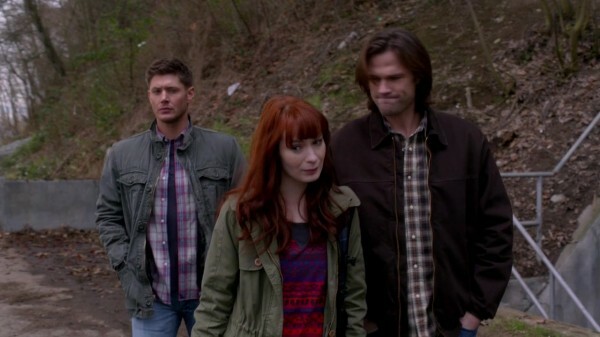 And one thing Dean uses to make his point is to take Sammy down to their gun range. That’s right, they have a gun range in the bunker because they’re just that cool. Plus, we found out that there’s a cellphone damper range around the area, so they can’t be traced by GPS. I love this place! And as determined as Dean is to keep Sammy safe, Sam is just as determined to push himself beyond the limits of his health. The trials are changing him, making his worse off, and if he can just get through them maybe he can work on recovering. Until then, he will cough up blood and be dizzy and look like death warmed over while making his brother worry. The upside of all this, though, is that we got a brotherly hug at the end. We get so few of those that I’m not going to take them for granted. Sad that the only time we get hugs is when of them is near-death or returning from the dead, but whatever. Hugs are hugs! The case itself was alright in terms of the monster. I like Djinns, so whenever we get one of them popping up it’s interesting to see where they will take their victims. This time it was a twist on the legend, so there were new elements along with the old, as well as a twist in terms of who was doing all the sloppy kills. What made it most interesting was the dream world that Charlie and Dean were put into. The ongoing struggle of Charlie never being able to let go of her mom was reflected in the video game world nightmare she was thrust into, so having Dean there to help her finally say goodbye was touching. It didn’t hurt that Dean looked mighty fine in his military uniform either. Hey, dream worlds can be pretty as well as enlightening! 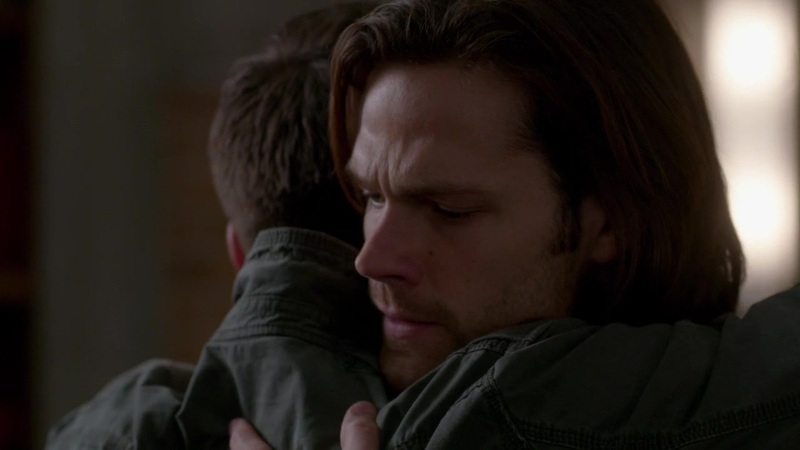 And it was indeed just as helpful for Dean as it was for Charlie because he recognized his need to protect Sam as well as stand beside his brother. They have a job to do and he has to be strong for the both of them if they are going to win this battle. Together, there is nothing the Winchester brothers cannot achieve. I look forward to seeing where the trials will take them in the coming weeks.